Human chorionic gonadotropin (HCG) is a polypeptide hormone produced by pregnant women after the implantation of the embryo takes place. It is a heterodimeric, or protein dimer, that mimics the functions of luteinizing hormone (LH) and follicle-stimulating hormone (FSH). Initially, HCG was used in medicine for various illnesses, but in recent years it has been used in the bodybuilding world and as a diet drug. 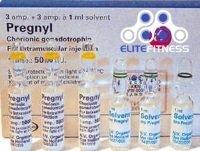 The HCG hormone was discovered in the 1920's, and was originally sold as Pregnyl. Interestingly, it was used for all sorts of different illnesses ranging from infertility to depression and obesity. Nonetheless, there was little basis for using it to deal with most of these problems. Today, some doctors will prescribe it only for infertility and hypogonadism. In addition to that, there are some non approved uses for HCG, such as weight loss, which we will discuss later on in this article. Furthermore, it is noteworthy to mention that even after the 1960's HCG extract from pregnant female urine was still done. Nonetheless, while some pharmacological companies figured out how to produce a sanitary form of HCG, many still relied on the old method which extracted HCG from pregnant female urine. By temporarily mimicking the luteinizing hormone, HCG will act as an exogenous hormone in both males and females. This is beneficial for female patients trying to get pregnant because it pushes the gonadotropins to stimulate conception. Meanwhile, in men LH feeds the leydig cells, producing a boost in testosterone levels. However, you must keep in mind that as testosterone rises, it will aromatize into estrogen as well. What's more, HCG will suppress the pituitary glands, giving the impression that the body has too much LH, thus causing the suppression of natural testosterone production. Back in the 1950's, a British doctor named Albert Simeons wrote a book on weight loss, where he advocated HCG use for fat loss. His basis was that HCG will fool the brain into getting rid of excessive fat deposits in order to protect a fetus. Consequently, if men and women were to use the hormone, it would theoretically cause a loss in body fat. Nonetheless, science has disputed these findings over the years. In spite of this, we still see the HCG diet pushed by so called guru's and weight loss clinics. This diet involves using HCG along with a diet of only 500 calories per day. In fact, telemarketer Kevin Trudeau famously pushed this diet in his books and newsletters, and he was jailed for fraud. Moreover, the FDA and FTC have maintained that the HCG diet is a scam. There are two ways to tell if your HCG is real or not. Obviously, the first way of knowing that is bloodwork. Run a hormone panel that includes LH and total testosterone levels, then run HCG for a couple weeks. After that, do the blood work again - your LH and FSH should drop, while your estrogen and testosterone will rise. If this happens, then most probably your HCG is real. The second way is to use certain pregnancy tests, called HCG pregnancy strip tests, which will give a positive if your HCG is real. Unfortunately, HCG has been used by scammers as a replacement for peptides and human growth hormone because it is a cheaper white powder, so those buying generic HGH and peptides online should be wary of these types of scams. Always use a reliable source you know about in order to avoid getting HCG instead of peptides and HGH. The half life of HCG is 36 hours. Now that we understand what HCG actually is, and what it does, we can come to the conclusion that the only time it should be used is before the post cycle therapy (PCT) or during the cycle. On cycle benefits are that it will cause a raise in sperm count, leading to a temporary enlargement of the testicles. However, these benefits may not be worth it, as estrogen levels will spike too. Regarding its use before PCT, some have said that HCG will 'prime' the testes, but this characterization is not exactly accurate. What HCG will do is provide a bump in testosterone levels during a time when the user is having their steroid esters drop off, providing a soft landing. Nonetheless, you must still follow up with a PCT because once you stop taking HCG, your testosterone levels will come back down. The protocol for pre-PCT use would consist in injecting HCG at a dosage of 500-1000iu's two or three times per week, while your steroid esters are clearing out of the body. During a cycle, use 500iu's twice per week for the 2nd half of the steroid run. HCG should never be used during PCT, and the reason for that is simple – it is suppressive. Since it mimics LH and FSH, HCG will cause the pituitary glands to stop producing those hormones. Hence, you must always follow up HCG use with a complete post cycle therapy. HCG side effects are suppression of the pituitary glands, and a rise in estrogenic side effects. In fact, some users have developed gynecomastia from HCG use. HCG should always come in powder form in a vial. It should be constituted in bacteriostatic water inside a clean vial, and then stored in the fridge for up to 45 days. 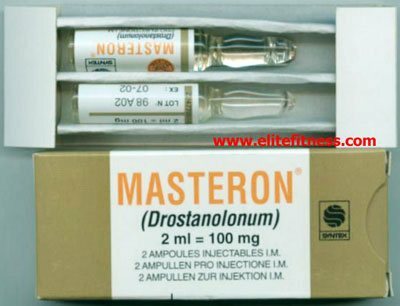 This hormone can be purchased from many online steroid sources, as well as online pharmacies. My last shot is today, how much HCG should I use for PCT?? Help Bros confuse here. Can I get some help with HCG please? Subscribe to our mailing list and get interesting news and updates directly to your inbox.